The first prime time quiz show since the quiz show scandals, ABC yanked 100 Grand off the air just three weeks after its September 1963 premiere due to low ratings. 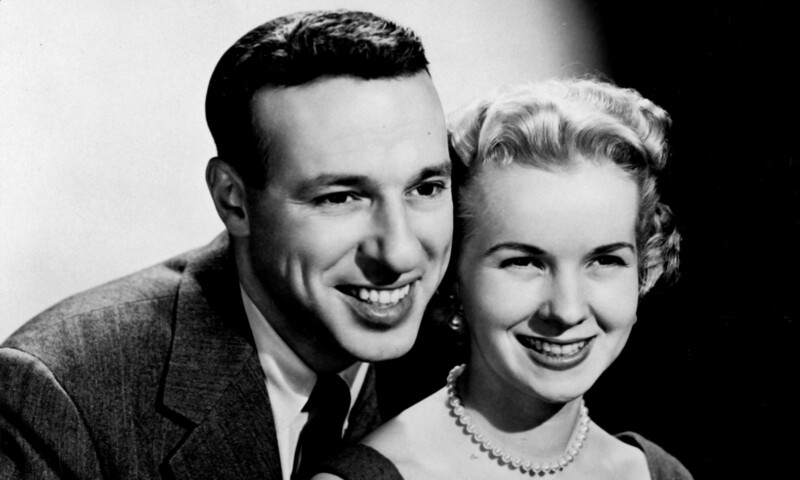 Viewers may have assumed the TV networks were done with quiz shows after a number of scandals in the late 1950s forced shows like The $64,000 Challenge and Twenty One off the air. However, The New York Times reported in early April 1963 that ABC’s “tentative” 1963-1964 television schedule released the previous day included a quiz show called 100 Grand, in which the top prize would be (obviously) $100,000 . The show was given the 10-10:30PM time slot on Sundays. The paper pointed out how the show “would be the first of its kind since the quiz show scandals in the late nineteen-fifties” and noted how the network insisted 100 Grand was “rig-proof.” Affiliates had been informed two days earlier at a meeting in Chicago . According to Thomas W. Moore, ABC Vice President, “an advertiser has an option to buy the program and we will know the answer this week. If the advertiser picks up the option, then the show is definite. And if this advertiser does not buy, we will seek another” . The name of the potential advertiser, as well as any information about the format of 100 Grand, was kept secret by both the network and General Artists Corporation, the company that represented the show’s producer Bob Stivers . The program’s format was specifically designed to incorporate built-in safeguards that guarantee the integrity of the contest. The format of ‘100 Grand’ will be announced at a press conference before premiere date, at which time the program’s built-in security precautions, which are an intrinsic part of its format, will also be outlined. The A.B.C.-TV program department examined many quiz programs over the past three years before deciding on ‘100 Grand’ as the one that met its requirements for audience appeal, drama and format-imposed integrity. ABC finally revealed the rules to 100 Grand in mid-July in a 1,400-word statement. In response, Val Adams suggested that once the show premiered, “the network may have to spend the first several weeks explaining the procedure to its viewers” . In order to win the $100,000 prize, an “amateur expert” must face off with a “professional authority” over the course of five weeks. Each player comes up with his own questions for the other to answer. If the amateur beats the professional for those five weeks, the viewing public then submits its own questions, five of which are chosen by a computer for the amateur to answer. Should he answer all five correctly, he gets the $100,000 . In mid-August, veteran game show personality Jack Clark was announced as the host of 100 Grand . On September 1st, John P. Shanley lamented the return of the quiz show, worried that should 100 Grand succeed, “we might be in for a new wave of quiz telecasts. It’s a depressing thought, but it could happen in the amazing world of television” . 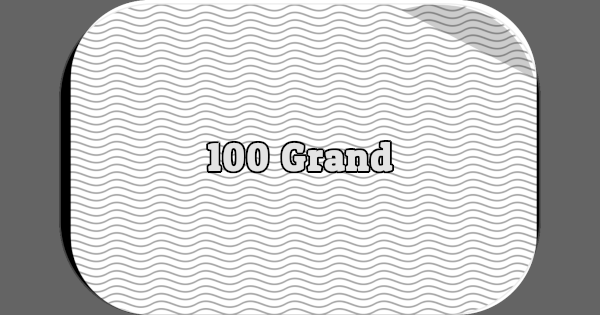 100 Grand debuted on Sunday, September 15th at 10PM ET. 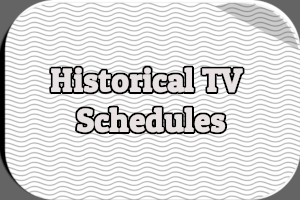 During the first episode, amateur Civil War expert William Neill of Waterloo, Wisconsin faced Dr. Joe Coss, assistant superintendent of schools in Downey, California, while amateur opera expert Frederick Kushin of Long Beach, Long Island battled Walter Kappasser, founder of the Civic Opera in St. Louis, Missouri. Both amateurs beat the experts and banked $10,000. The key to “100 Grand” is more sophisticated methodology. The program pits an amateur expert–last night’s subjects were the old standbys of the Civil War and opera–against a professional expert. Each asks questions of the other and can win points two ways–by stumping the opponent or successfully handling his questions. Gould felt the format of “instant recall” was more important than the personalities, but wondered if the network might need to find smarter professionals . The third episode of 100 Grand aired September 29th. ABC cancelled the show days later. Executive producer Robert Stivers told The New York Times “the public looked, they weren’t interested, and they voted no. I think the only viewers we had last Sunday were relatives of Freddy Kushin. The network did what was right by canceling the show. I don’t disagree with them . Neill and Kushin were the only contestants to appear on the show. Both were beaten by professionals during the September 29th broadcast. Because the professionals hailed from Miami, Florida and Vicksburg, Mississippi, the two cities each received $10,000 . Kushin and Neill walked away with $1,000 savings bonds. With Kushin and Neill off the show, Val Adams pointed out, 100 Grand was faced with the prospect of introducing a new set of amateur contestants . Would the show have been more successful had the two continued winning? ABC replaced 100 Grand with Laughs for Sale, a comedy panel featuring Hal March, on October 20th . The whereabouts of the three aired episodes of 100 Grand is a mystery. 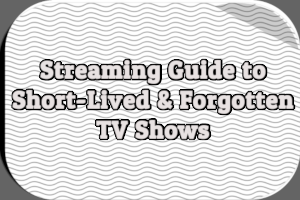 None of the major television museums/archives in the country (The Paley Center for Media, The Library of Congress, The Museum of Broadcast Communications, and the UCLA Film & Television Archive) have episodes in their collections. However, Archival Television Audio a complete audio recording of the debut episode as well as an excerpt from the third. 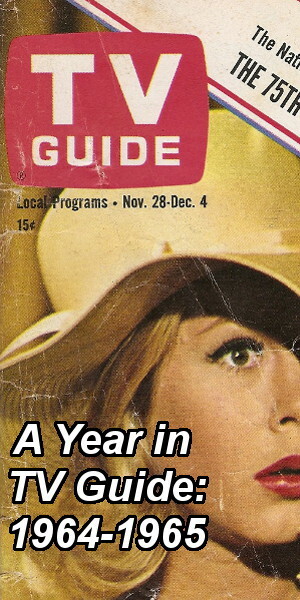 The 1963 ABC fall preview for the show did not include any actual footage from the show. Another mystery: were additional episodes of 100 Grand filmed prior to the show’s cancellation? 1 Adams, Val. “TV Quiz Program to Offer $100,000.” New York Times. 1 Apr. 1963: 58. 5 “Cities Will Get Chance To Win on ‘100 Grand’.” New York Times. 5 Apr. 1963: 53. 6 Adams, Val. “TV-Radio News–Cancellations.” New York Times. 5 May 1963: 149. 7 Adams, Val. “News of TV and Radio–Mostel.” New York Times. 28 Jul. 1963: 81. 9 Adams, Val. “News of Television and Radio.” New York Times. 18 Aug. 1963: 113. 10 Shanley, John P. “A New TV Season.” New York Times. 1 Sep. 1963: X11. 11 Gould, Jack. “TV: The Bit Money Returns With ‘100 Grand’ Quiz on A.B.C.” New York Times. 16 Sep. 1963: 71. 12 Adams, Val. “‘100 Grand’ Goes Down the Drain.” New York Times. 2 Oct. 1963: 63. 16 Adams, Val. “News of Television and Radio.” New York Times. 13 Oct. 1963: 139. 1 From The New York Times, September 15th, 1963, Page 145. And some people at the time said in disbelief, “For THIS, they cancelled ‘THE VOICE OF FIRESTONE’?”. 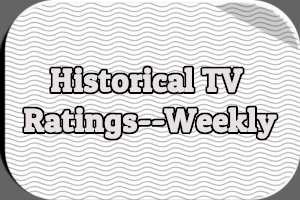 Needless to say, too many viewers were more comfortable watching “CANDID CAMERA” on CBS [the #1 show at 10pm(et) on Sundays] and “THE DUPONT SHOW OF THE WEEK” on NBC (in its final season) to see “another quiz show”. There was something about “100 GRAND” that just didn’t DRAW people to it (and Jack Clark was a great emcee- just look at the “PASSWORD” segments he emceed when Allen Ludden couldn’t appear). I believe ONE episode of “100 GRAND” exists somewhere, probably on kinescope film…it’s just that the collector who’s sitting on it feels that “now” just isn’t the time to release it- or has no idea it’s in his/her collection…..
After a three-or-four-year hiatus, “Voice Of Firestone” returned in the fall of 1962 on Sundays at 10 Eastern time. ABC thought that buy scheduling it after a movie, much of the large number of viewers the movie drew would stick with ABC and see “Firestone”. But they tuned-out in droves. It was also a lesson the producers who remade “THE $64,000 QUESTION” (“THE $128,000 QUESTION,” Syndicated, 1976-78) and “TWENTY-ONE” (NBC, 2000) should have heeded. I’d be interested in watching an episode just to see how the game was played. There were apparently isolation booths involved. Take a look at the a newspaper advertisement from The New York Times (I forgot to include it yesterday) that depicts the booth, I think. I remember reading about the “isolation booth”; it was shaped like a giant bubble, ‘RGJ’. For the Record, “100 GRAND” was broadcast live on the ABC television network. 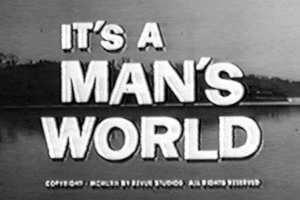 ARCHIVAL TELEVISION AUDiO, INC. has in its archive the complete premiere broadcast (September 15, 1963), an ABC television promo of the program (September 24, 1963) and a five and half minute excerpt representing the third and final broadcast of “100 GRAND” (September 29, 1963). These ATA peerless TV audio air checks are the only know broadcast records to exist anywhere. I had the pleasure of meeting Jack Clark and asked him about this show. His precise memories were a bit fuzzy, but he aid 100 Grand “was just boring” and was glad for its quick cancellation, worried that being involved with such a stiff show would hurt his career. Not from the series, no, but given the narration (“This is the arena…”) I think it’s safe to say the clips shown are from a pilot.